Have you seen Jennifer speak? Leave a review. Good Morning America, and the Today show. Openshaw is the author of The Millionaire Zone and The Socially Savvy Advisor. A regular columnist for Dow Jones’ MarketWatch, Openshaw has held several executive positions at organizations like the Family Financial Network, Bank of America, and Wilshire Associates. Jennifer Openshaw uses her financial wisdom to help everyday Americans create opportunities. 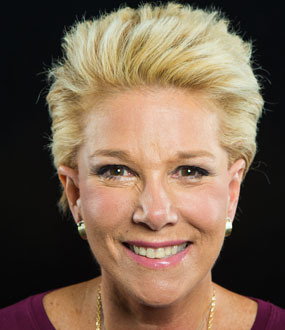 A nationally recognized authority on financial management, she is a familiar face due to her multiple appearances on The Oprah Winfrey Show, CNN, CNBC, Fox, Nightly News, Good Morning America, and the Today show. Openshaw is the author of The Millionaire Zone and The Socially Savvy Advisor, a real life cookbook for effective social media strategy. 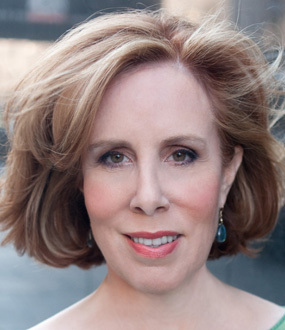 She is a regular columnist for Dow Jones’ MarketWatch and a LinkedIn Influencer. Openshaw developed an interest in finance after observing her single mother work two full-time waitressing jobs to support their family. She attended UCLA and started her career as Press Secretary to the California State Treasurer where she helped develop the California Bank-at-School program as a means of teaching children financial literacy. Later, as Head of Marketing & Director of Investment Services for Wilshire Associates, she oversaw the marketing campaign for the Wilshire 5000 Index Mutual Fund launch and grew consumer assets to $100 million in six months. 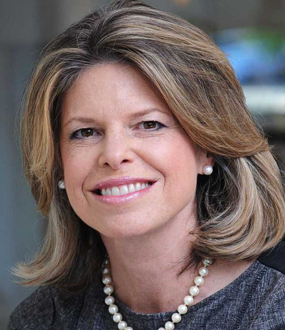 Openshaw was named among the Internet’s 25 Rising Stars for her work as Founder & CEO of Women’s Financial Network, which was later sold to Siebert Financial. She was CEO of the Family Financial Network for ten years. Currently she serves as a partner and global marketing leader for Mercer. Jennifer got her start in financial services working as Press Secretary to California State Treasurer Kathleen Brown, where she helped develop the California Bank-at-School program to teach youngsters about money matters. Jennifer also served as Press Secretary for Brown’s Gubernatorial Campaign as the Democratic Nominee for Governor. Jennifer later served as Vice President of the Investment Management Group at Bank of America and Director of Investment Services for Wilshire Associates, one of the nation’s largest investment consulting firms to CalPERS and other leading institutional investors. 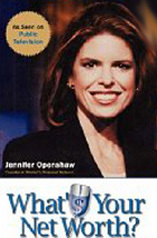 During her tenure at Wilshire, Jennifer led marketing for the launch of the Wilshire 5000 Index Mutual Fund, growing consumer assets to $100 million in six months, converted the Index into a real-time stock index, and formed a strategic alliance with CNBC, which now utilizes the Wilshire 5000 Index as a regular feature of its financial programming. Jennifer also served as Senior Vice President of Corporate Marketing for Bank One, now JP Morgan Chase. WeSeed’s mission – through content, social networking, and virtual investing — is to demystify the stock market for the 100 million Americans who do not directly invest by helping them start with the Peter Lynch approach of using what they already know and love. The Company, winner of the American Business Award in the Financial Services Website category, created a unique search tool that delivers stock ideas instantly based on a user’s personal interests or via their Facebook profile. It’s now used in over 100 schools. Jennifer also recently introduced SuperFutures.org to better prepare high school teens for the working world. The program launched this summer with its Global Leadership Program at the United Nations featuring Arun Gandhi, the great grandson to Mahatma Gandhi, among others. Jennifer’s passion for helping consumers stems from her own life story. Jennifer’s mother found herself divorced at age 28, with three young kids and no formal education. To make ends meet, her mother worked two full-time jobs as a waitress. While her mother worked days and nights, eight-year-old Jennifer raised her two younger brothers and took on various projects to bring in extra money. At age 14, she took on her first “real” job as a maid in a motel. Through her commentary on TV and radio, Jennifer has educated millions of consumers and has served as an advocate on financial fairness to middle-income Americans, speaking out vocally against such issues as mutual fund practices and excessive executive pay. Today, she shares her practical advice as a columnist for Dow Jones’ Marketwatch and a frequent guest on the Fox Business Channel. 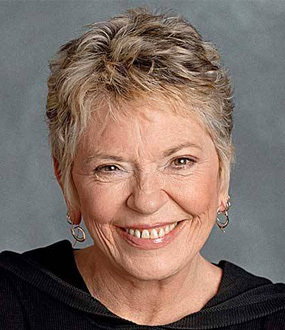 Her work has been featured in numerous publications including the New York Times, USA Today, Business Week, the Chicago Tribune, Fortune Small Business, Women’s Day, Redbook, and Kiplinger’s. Jennifer speaks regularly to groups ranging from employees of Ford to students of Harvard, and currently is an Adjunct Professor in Personal Finance at NYU. Jennifer’s first book, What’s Your Net Worth? (Perseus) was turned into a Public Television Show. Her second book, The Millionaire Zone (Hyperion), is based on national research about the networking strategies used by those who have achieved financial success. A Rotary Scholar, Jennifer holds an MBA and BA from UCLA. She has served on the Advisory Board of Wyndham Hotels and as a gubernatorial appointee on the Commission on California State Government Organization & Efficiency (“The Little Hoover Commission”). 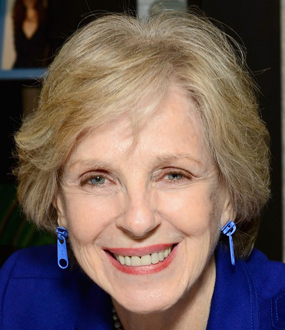 She currently serves on the Advisory Boards for both SpringBoard Enterprises and Women’s Leadership Exchange, which help entrepreneurs grow their businesses, as well as on the Board of Friendship Ambassadors Foundation. Jennifer Openshaw outlines the three major ways social media is reinventing how financial advisors run their businesses. 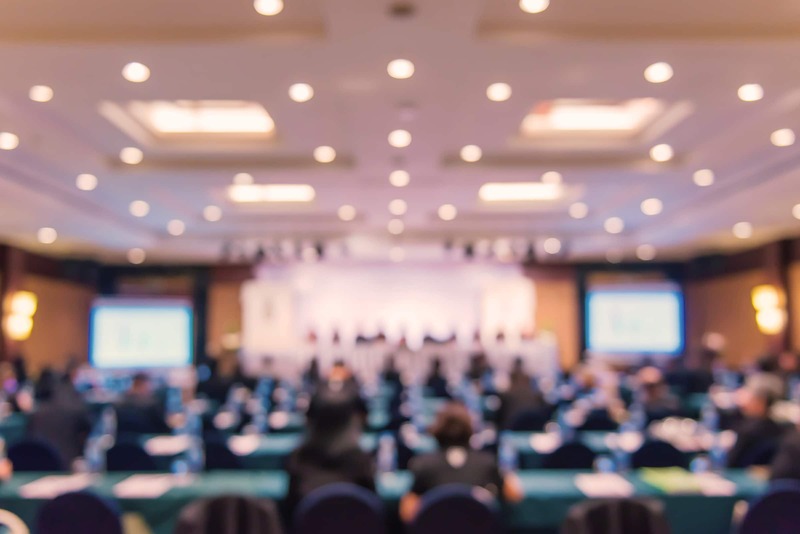 Social media opens up numerous opportunities: namely, access to more market information in real time than ever before, a massive outlet for connecting with new potential clients, and a limitless platform for building your own thought leadership. Furthermore, social media allows advisors to do these things at a minimum cost. Jennifer Openshaw shows you how to put your money, time, and resources to optimum use. The financial management expert and women’s business guru has tediously studied the best practices and habits of self-made millionaires – rules and steps that can render results no matter your current situation. Openshaw’s passion and drive to help ordinary people increase their wealth stem from her own childhood growing up with a single mother who worked two full-time waitressing gigs. Identifying opportunities that would maximize her wealth and talent, Openshaw built up her own career and wealth and wants to help you do the same. It’s not just in the business world where your brand matters, but also right in your own company. Jennifer draws from her own experiences and that of other notable women to share specific strategies for building your own brand. These include public relations, social media and marketing strategies, along with common do’s and don’ts. Tapping her own experiences as a top marketing executive for Bank One/JP Morgan Chase, Bank of America and other top firms, as well as her role as CEO & Founder of Women’s Financial Network, Jennifer advises executives and marketing managers on what women expect both emotionally and financially from a service company. Jennifer draws from her 7 years experience in the space and research accumulated during that time. The listener will leave with tips and strategies for communicating and marketing to this powerful segment. Jennifer uses real case studies to share compelling strategies and tactics to reach these two critical markets – the most sought after by companies. In her energetic and passionate style, she shares recent research about the behaviors of these markets, the differences between creating campaigns versus movements, and specific social media tactics that can take your company or product from A to…..the sky’s the limit. Tools and strategies that financial services companies and professionals can use to build their brand and move the needle. Drawing from her research of 3,000 Americans and interviews with 200, Openshaw discusses the keys from her book to getting and staying rich. She’ll discuss how millionaires take advantage of current economic trends to make money and share how you can profit from those same techniques. You′ll also learn how the rich turn rejection into opportunity, leverage their “LifeNet” for maximum gain, and turn business wealth into personal wealth, all powerful methods you can master and apply in your own life. Most get-rich books are gimmicky. They focus on one artificial technique like cutting out lattes that will supposedly make you a millionaire (in thirty years, maybe). But for many of us, the enormity of the challenge leads to fear, confusion, frustration, and failure. What if there was a “no fear” path to success that allowed you to use what you already know-the people, places, and opportunities right in front of you-to give you a real chance at making real money? 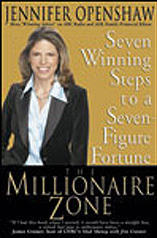 National financial commentator Jennifer Openshaw leads the way in The Millionaire Zone. Online investing may get the lion′s share of attention, but Jennifer Openshaw says the Internet really is the perfect vehicle for managing all personal finance information–especially for women, whose fiscal requirements often are ignored by traditional guides to money management. In What′s Your Net Worth?, Openshaw, founder of the Women′s Financial Network and a frequent financial TV commentator, describes a complete 12-step wealth-building program that combines sound advice concerning women′s precise needs with Web sites that should be helpful in addressing them. It boils down to mixing time-honored (albeit gender-specific) techniques with today′s technology to develop a three-part game plan Openshaw calls “Earn It, Save It, and Grow It!” Toward the second goal, for example, she describes various ways that expenses might be trimmed to increase savings, “not only by using online budgeting tools to get a handle on your spending but also by devising an online strategy to spend less on the things you still need to buy.” Other individual actions focus on eliminating debt and building credit, protecting assets, minimizing taxes, increasing earnings, and giving back through charitable contributions.